The draw for the Euro 2020 qualifiers take place tomorrow in Dublin, and ahead of the the draw, we look at who Gibraltar can draw, and who will definitely not be coming to the Victoria Stadium in 2019. How many teams will be in Gibraltar’s group? As Gibraltar are in Pot 5, they can either be in a group of five or six teams – groups A to E contain five sides, while F to J will host six. The groups of five will see Gibraltar have two free gameweeks where they can arrange a friendly against either the other 4 sides who also haven’t got a game that gameweek, or against a side from another continent should they wish. In a group of six, Gibraltar are guaranteed 10 games and will not need to arrange any friendlies in 2019. Are there any differences to being in a group of five or six? 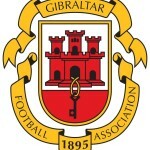 There are a couple of differences – in a group of five Gibraltar would be guaranteed to be the lowest ranked side in the group, while in a group of six they would be guaranteed a team who performed worse than them in the Nations League. However, in a group of six, they can not draw the four Nations League League A semi-finalists (England, Netherlands, Switzerland or Portugal), as they must be drawn in groups of five due to having their Nations League finals in June next year. Who can Gibraltar not draw? As per previous draws, Gibraltar and Spain are separated per UEFA’s rulings, but Gibraltar also can not draw the following teams, who are also in Pot 5: FYR Macedonia, Kosovo, Belarus, Luxembourg, Armenia, Azerbaijan, Kazakhstan, Moldova, Faroe Islands. That means no return to Gib for two of our Nations League opponents, or Faroe Islands who have been here for friendlies in the past. How is the draw performed? As a Pot 5 side, Gibraltar are one of the last teams to be drawn out, as the draw is done from Nations League pot down to Pot 6. Therefore, once Gib are drawn, we’ll either know the entire draw or will be waiting for the Pot 6 team to join them. There are some more complicated restrictions. With Euro 2020 hosted across 12 countries, the 12 host countries are given a better chance of qualifying by ensuring no more than two of them can be in one group. This affects the following nations: Azerbaijan, Denmark, England, Germany, Hungary, Italy, Netherlands, Republic of Ireland, Romania, Russia, Scotland, Spain. Also, to ensure no team has excessive travel demands during the tournament, there are restrictions in place for certain nations and drawing certain teams – click here to see the exact restrictions. How can I watch the draw? The draw show takes place at midday tomorrow Gib time, and can either be watched live on UEFA.com, or Sky Sports News if you receive that channel. The draw itself will take place at some point after midday, after all the procedure information is explained by UEFA officials. Finally, what are the pots? This entry was posted in Football, International, Men, Men. Bookmark the permalink.